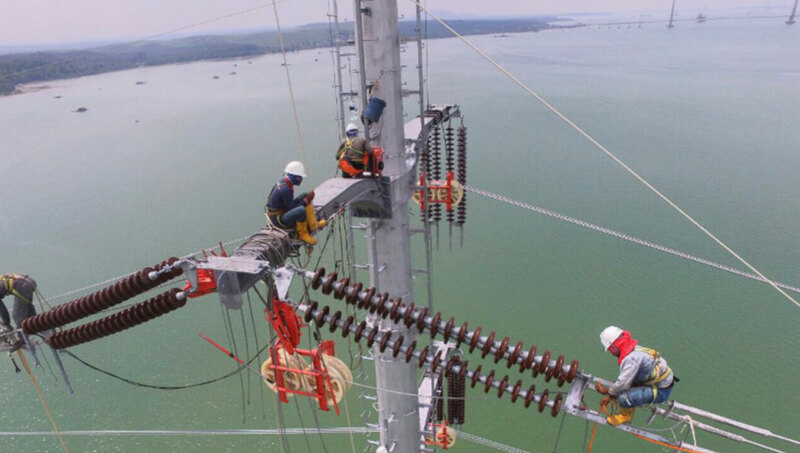 Initially deployed in 2005, the ACCC conductor has become the dominate technology for transmission and sub-transmission projects where efficiency, capacity, reliability and resiliency are paramount design objectives. The ACCC conductor’s hybrid carbon fiber composite core also makes it ideally suited for long span applications for a number of important reasons. The strength to weight ratio of the ACCC conductor composite core is approximately five to seven times greater than a steel core. For instance, typical steel used for bare overhead conductor core strands offers a tensile strength of ~200 ksi, while the high-strength version of steel offers 275 ksi. The standard ACCC composite core is rated at 310 ksi, while the high-strength version (known as ULS) is rated at 375 ksi. In either case, the weight of the ACCC composite core is ~70 percent less than steel. Furthermore, steel core strands are typically helically wound around a central core strand. Within the diameter of the overall steel core, approximately 25 percent of the area is void. The ACCC composite core consists of hundreds of thousands of structural fibers bound together with a high performance epoxy matrix without any voids. The lack of voids not only enhances core strength, it also prevents Aeolian Vibration from causing fretting fatigue, microfracture propagation and stress fatigue failure where the round strands typically rub against themselves, especially at higher tensions in areas prone to wind. In the case of the ACCC conductor, the resistance to Aeolian Vibration is further improved by the fact that the ACCC conductor uses compact, trapezoidal shaped aluminum strands. Unlike conventional round wire strands used in most conductor types, the flat sided trapezoidal strands dissipate vibration over a much more substantial surface area compared to round wire conductor designs. The ability to dissipate vibration more efficiently is a highly sought attribute for conductors that are deployed on long spans where tension is much higher and where predominate winds at higher elevations above ground or water generate Aeolian Vibration. 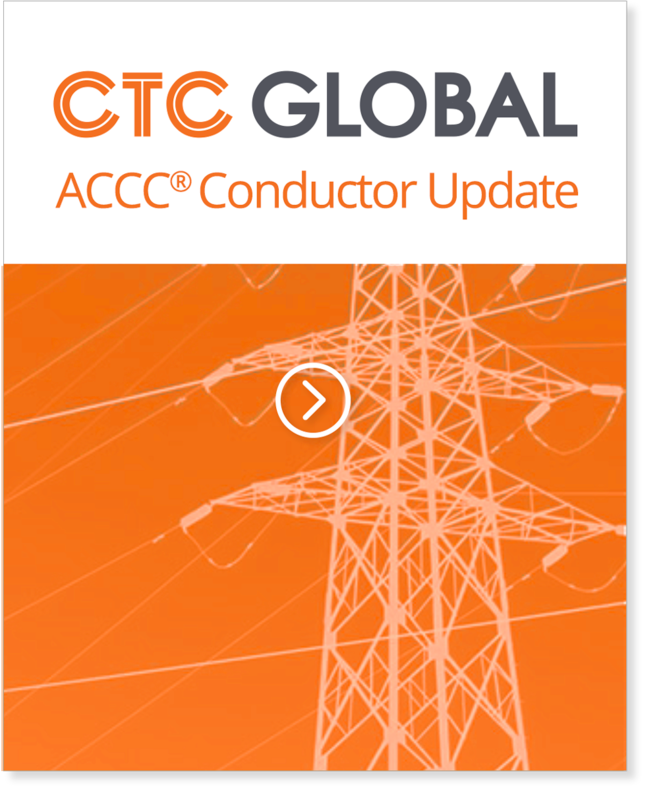 The lighter weight and greater strength of the ACCC conductor can contribute significantly to reducing structural costs and tower height. Additionally, the ACCC conductor’s composite core offers a very low coefficient of thermal expansion so, under heavy electrical loads, the core does not elongate causing additional conductor sag.